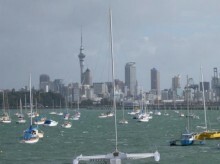 So we arrived in Auckland, new Zealand on 20th of October. We stayed in a hostel our first night but for the few nights after stayed with friends. We got to meet up with Emma, our friend from Darwin, as she is living here now. She is also coming to join us travelling in the south island. 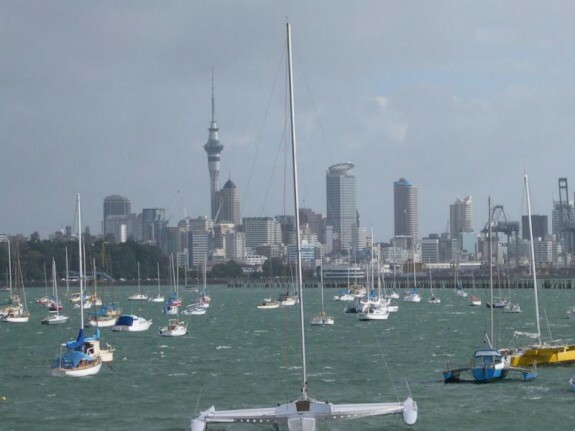 In Auckland we didn't even do much tourist stuff because the final of the rugby was on, on the Sunday. We went out a few nights, which got a bit messy, we chilled out and watched a lot of movies. My friend Laura from home arrived on the day of the final, which was probably the worst day ever to arrive be because everything was so crazy and she was jet lagged, but he managed well. The day of the final was absolutely nuts!!! It's felt like St. Patricks day at home when everyone is off and in the pubs or on the street. It was really class, the atmosphere was amazing! This only got better when New Zealand won! The French team were staying in Lauras hotel too so we got to see them, the night of their defeat! Last night we walked up or in my opinion climbed Mt. Eden. It's a forming volcano and you can walk around the rim and get an unbelievable view of Auckland. Today we are getting our bus around New Zealand and firstly heading to Raglan.